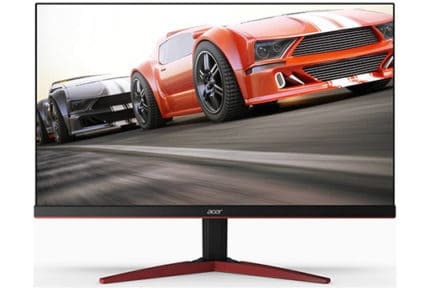 Acer Predator XB241H Review 2019: Is This Gaming Monitor GOOD? Want to use the full potential of your powerful NVIDIA GeForce graphics card by getting a G-SYNC gaming monitor? 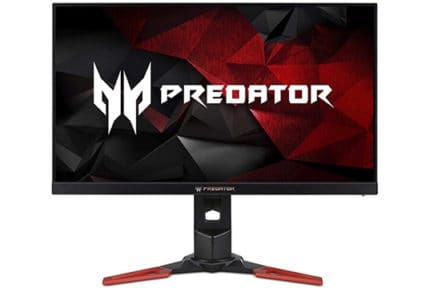 The super-fast Acer Predator XB241H is the most affordable G-SYNC display around yet it will provide you with an amazing fast-paced gaming experience. 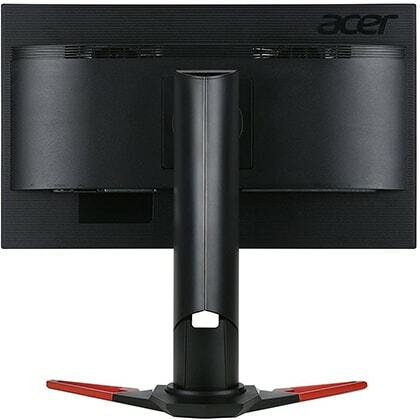 Just like all 1ms (GtG) gaming monitors, the Acer XB241H is based on a TN (Twisted Nematic) panel which sacrifices color quality and viewing angles for a rapid response time speed. So, in comparison to IPS and VA monitors, you get less vibrant colors, but a faster pixel transition time. TN panel displays also have narrow 170°/160° viewing angles which cause the image to shift in color, brightness, and contrast when the screen is looked at certain angles. However, as you are spending most of your time directly in front of your screen when it comes to gaming, this isn’t an issue for the most part. Overall, the picture quality of the Acer Predator XB241H monitor is very good for a TN panel display. You get 8-bit color depth, a standard contrast ratio of 1,000:1, and a bright 350-nit peak luminance. There are plenty of picture adjustments available including the advanced 6-axis settings, gamma presets, saturation, etc, so you can get more than a decent image out of this gaming monitor. The Acer Predator XB241H input lag is only 4ms which is imperceptible even by professional gamers. In addition to the rapid 1ms response time speed which effectively eliminates ghosting and trialing of fast-moving objects, fast-paced games feel significantly more responsive and immersive. The monitor has a native refresh rate of 144Hz which you can overclock up to 180Hz for an extra boost in motion clarity. Moreover, the overclocking process is very simple as well. You just set the refresh rate to 180Hz in the OSD (On-Screen Display) menu and then do the same in your graphics card’s drivers. There’s no frame skipping or any other visual artifacts introduced by overclocking, so don’t be afraid to push the Acer Predator XB241H to the max. Now for the main course: G-SYNC. Connecting an NVIDIA GeForce graphics card GTX 650 Ti or newer through the DisplayPort on the Acer Predator XB241H 180Hz monitor allows you to enable the G-SYNC technology. G-SYNC allows the monitor’s refresh rate to change dynamically according to the frame rate of the GPU. In turn, you get a variable refresh rate which eliminates all screen tearing and stuttering without introducing a significant amount of input lag as VSync does. It works all the way up to 180Hz, so you can overclock the monitor and enjoy the tear-free gameplay. Keep in mind that G-SYNC doesn’t work with AMD cards. If you have an AMD GPU, you should consider a FreeSync gaming monitor which is also cheaper and arguably equally good. Alternatively, you can use NVIDIA’s Ultra Low Motion Blur (ULMB) technology which cannot work at the same time as G-SYNC. 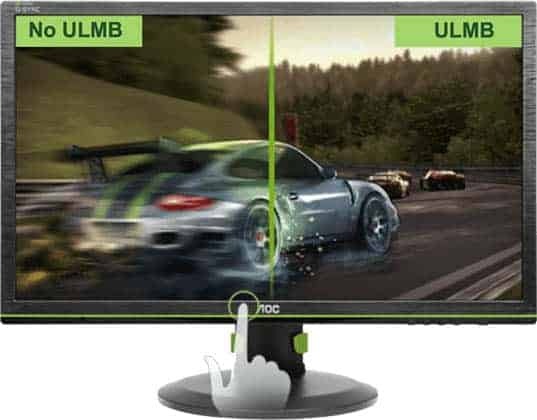 ULMB is a motion blur reduction technology which via backlight strobing further reduces the perceived motion blur and ghosting in fast-paced games. Note that ULMB also doesn’t work with FreeSync cards. In order to enable ULMB, you need to set the display’s refresh rate to 120Hz, 100Hz, or 85Hz and disable G-SYNC. 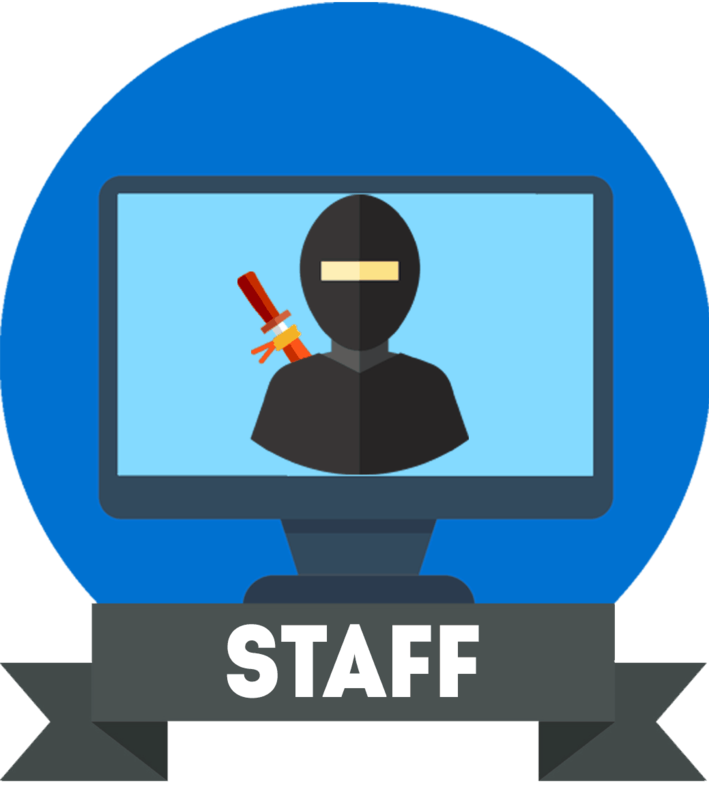 Other gaming features include Aim Point with customizable crosshair overlays, Dark Boost which brightens up the dark areas of the image, and three Game Mode customizable picture presets. There are six monitor hotkeys which can be used to quickly swap between Game Mode profiles, adjust the OverDrive settings, adjust audio volume, change the input source, open up the OSD menu, and power on/off the display. The OverDrive setting consists of three modes: Off, Normal, and Extreme. Setting it to ‘Extreme’ can introduce pixel overshoot (or inverse ghosting). So, if you see prominent or bothersome overshoot, leave it at ‘Normal’. Finally, the Acer Predator XB241H 24″ monitor also supports the now outdated NVIDIA 3D Vision technology. The design is robust and versatile though you might not like the red-accented stand. 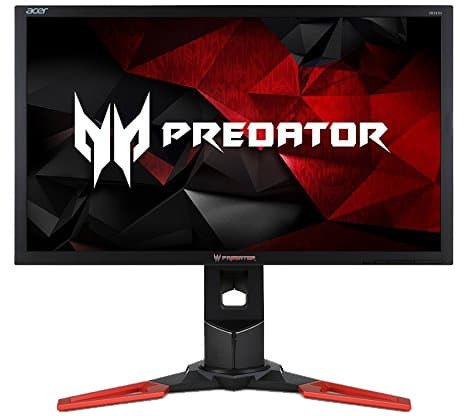 More importantly, the Acer Predator XB241H is fully ergonomic with up to 150mm of height adjustment, +/- 30° swivel, -5°/35° tilt, and 90° pivot as well as 100 x 100mm VESA mount compatibility. The connectivity options aren’t as generous though. There’s only one DisplayPort 1.2 port, one HDMI 1.4 port, two 2W integrated speakers, and a headphones jack. Note that the HDMI port on this monitor maxes out at 1920×1080 at 60Hz. 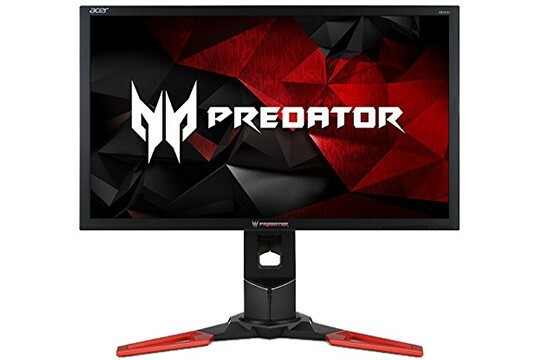 The Acer Predator XB241H price is around $400 and it’s actually the cheapest G-SYNC monitor available. ASUS has a counterpart monitor based on the same 24″ TN 1080p 180Hz panel; it’s dubbed as the ASUS ROG Swift PG248Q and it offers an additional USB 3.0 hub, but it’s also significantly more expensive which is why we recommend the Acer XB241H. If you don’t care for G-SYNC or have an AMD graphics card, check out the LG 24GL600F and AOC G2590FX 1080p 144Hz 1ms gaming monitors as alternatives. Keep in mind that for the same money, you could get a 1080p 240Hz gaming monitor. While not quite as fast as a 240Hz gaming monitor, the Acer Predator XB241H G-SYNC display will provide you with a flawless performance thanks to its variable refresh rate technology, ULMB, and other gaming features. The Acer Predator XB241H is the most affordable G-SYNC gaming monitor which will allow you to enjoy tear-free and stutter-free gameplay all the way up to 180Hz/FPS. Moreover, it's got a versatile design and plenty of additional gaming features including ULMB!